Be The Change is a craft book that inspires youth to use their creativity to get involved in community service and civic action. Be The Change Give Back! Tear-out postcards, buttons, and letters to your representative that you can use right away! Eunice Moyle and Sabrina Moyle are the sister-team behind Hello!Lucky and have been involved in community service and civic action as citizens and business owners since they founded their company in 2003. 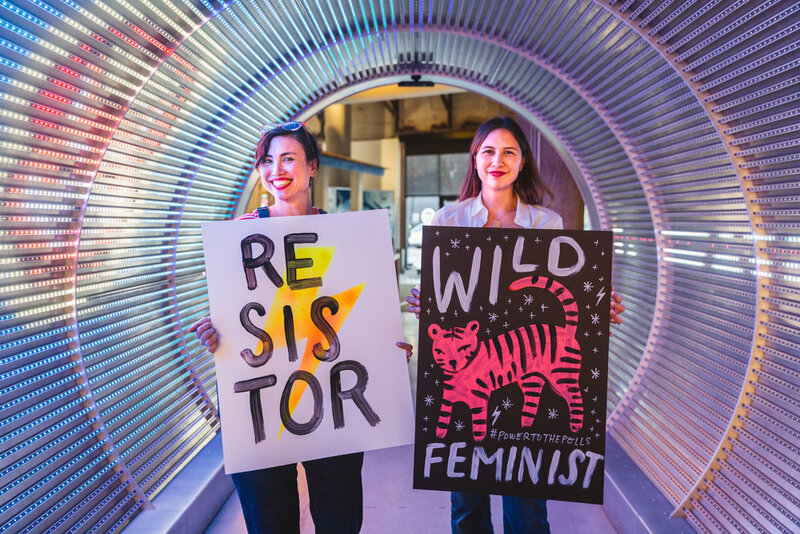 Eunice and Sabrina are dynamic public speakers and available for interviews, DIY workshops and speaking engagements related to creative community engagement and civic action. Stay up to date! See what we're doing to give back, and find out what you can do to Be The Change. We'll also offer free printables and opportunities to win your own copy of Be The Change here!